Nothing reflects so thoroughly the new playful attitude toward eating and city life as the mania surrounding food trucks. And so no list of “Where to Eat Now” would be complete without a celebration of 2012 as the breakout year for gourmet kitchens on wheels in the nation’s capital. 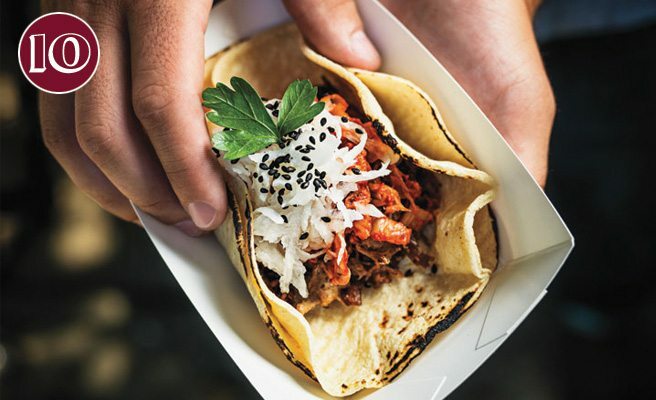 Many of us were introduced to the local food-truck movement over the summer at festivals and farmers’ markets and then at outdoor patios set up along the Rideau Canal as part of a pilot project that gave a new platform to Wannawafel, Strata Pizza, and Relish, among others. This was the year that the west end got fired up over Trailer Pork Boys and parking-lot dining with pulled-pork poutine. Cookie enthusiasts devoured treats from the B. Goods — A Bakery truck and fuelled up between musical acts at its gourmet coffee cart. Meanwhile, The Merry Dairy melted hearts all over town as it roamed from neighbourhood block parties to soccer tournaments, scooping old-fashioned frozen custard made fresh each day. The irreverent and fabulous Bite This truck — probably the first to break free of the tyranny of chip-truck fare with twists on pad Thai and inspiring grilled sandwiches — has held a permanent spot on a private lot on Scott Street since it blew onto the scene back in 2010.In keeping with its hedonistic spirit, it folds up for the winter, a common feature of Ottawa’s pavement gourmets. So it wasn’t until Jacqueline Joliffe came along with her big green truck, Stone Soup Foodworks, that the city got its premier year-round French-fry-free food truck and a taste for the big impact these small businesses can have on a city’s culinary landscape. Joliffe, who considers herself as much a food educator as a cook, grabbed our attention when she brought fresh, healthy, real food — a true alternative to greasy poutine and BeaverTails — to the canal during Winterlude in 2011. The truck has since become a beloved weekday fixture on the University of Ottawa campus, where it is the source of nourishing all-from-scratch soups, chili, sandwiches, and tacos that are made with mostly local and organic ingredients sourced from Joliffe’s farmer friends. 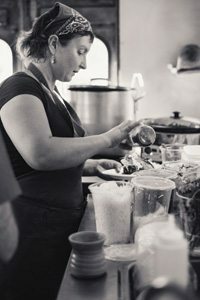 Without the overhead of a restaurant, she can keep this kind of food affordable and stay constantly connected with every aspect of the food she makes and sells. Forget farm to table, this food goes one step further: it’s human to human.